This project was recognized as one of the Conservation Fund’s Chesapeake Bay success stories and was a recipient of the Virginia Governor’s Office for Environmental Excellence Gold Medal in 2009. Global Water Intelligence recognized this innovative wastewater treatment approach as a finalist for the 2010 Industrial Water Project of the Year. In 2001, the Park 500 facility nutrient discharge amounts were within the permit levels issued by the Commonwealth of Virginia. However, believing improvements could be made, Philip Morris USA implemented new water treatment methods, and by 2006, succeeded in reducing nitrogen loadings to the river to almost half of its 2001 levels. In 2006, PM USA began building a natural treatment system (NTS) next to the facility on 42 acres of engineered wetlands that works with nature to further reduce nutrient levels in its wastewater. What was once a field is now teeming with plants and wildlife. Primary stakeholders include the Virginia Department of Environmental Quality (VDEQ), who focuses on reducing phosphorus and nitrogen loads to the James River while establishing a positive precedent for using treatment wetlands, and the residents of the Bermuda Hundred community, who were concerned with maintaining local drinking aquifer water quality. 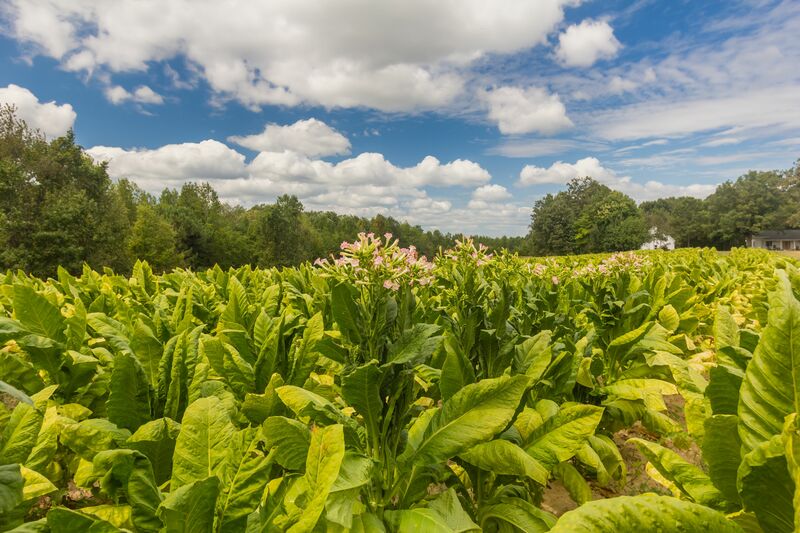 The project was initiated to reduce the environmental footprint of the tobacco production facility and help Philip Morris USA meet its environmental sustainability goals. The NTS reduces mass loading to the James River and creates a performance buffer for the existing plant discharge to ensure long-term compliance. The Park 500 NTS was constructed as a voluntary effort to provide a low-energy, low-maintenance alternative to reducing nitrogen and phosphorus in the process’s wastewater, which is high in nitrate-nitrogen, organic nitrogen and total phosphorus. The NTS reduces mass loading to the James River and creates a performance buffer for the existing plant discharge to ensure long-term compliance. PM USA worked with Virginia Commonwealth University to measure the biodiversity impacts of the project. Between 2008 and 2012, more than 230 plant and animal species re-populated the area, including native deer, frogs and birds. This represents more than a 350 percent increase in wildlife usage of the site since the NTS was constructed. The Park 500 NTS project included the design, construction and operational support of the 17 hectare constructed treatment wetland. PM USA funded the Park 500 NTS, constructed from 2006 to 2008. This project consisted of six constructed treatment wetlands designed to flow through two flow paths, with three cells each. Water is pumped from the site wastewater plant to an inlet splitter box, where gravity carries the water through the wetlands and to the main outlet discharge to the James River. The wetlands were planted with species native to the region, and the system had to meet an 80 percent vegetative cover requirement within two growing seasons. Water quality performance is assessed weekly. The Park 500 NTS exhibits top performance in nitrate-nitrogen reduction, and shows good reduction in total Kjeldahl nitrogen (TKN), as well as phosphorus loads and colour. For 2013, annual average total nitrogen was reduced by 44 percent from 13.3 milligrams per litre (mg/L) to 7.4 mg/L. Annual total nitrogen mass reduction for 2013 totalled 17,294 pounds, or 8.6 tons. TKN, which includes both ammonia and organic nitrogen, showed a net decrease from 9.0 mg/L to 7.3mg/L, a 19 percent reduction. Ammonia is assimilated in the initial cells, and organic nitrogen is further degraded by the wetland. Much of the nitrogen reduction is through denitrification of nitrate-nitrogen, from an average inflow concentration of 4.4 mg/L to an average outflow concentration of 0.2 mg/L, a reduction of 96percent. Most nitrate loss occurs in the first cell in each of the flow-paths of the system, and the system rapidly attenuates daily inflow variation. This continued optimal performance is attributed to extensive anaerobic muck soils that have rapidly developed in the Park 500 NTS, as well as the organic matter loading. The denitrification evident in the system clearly illustrates the sustainability and effectiveness of this type of treatment system for nitrate reduction, particularly for discharges to rivers such as the James River, as well as their downstream estuaries. In 2013, average total phosphorus concentrations were reduced by 26 percent from 0.61 mg/L to 0.46 mg/L. The facility participates in the Virginia Nutrient Credit Exchange, which is designed to coordinate and facilitate nutrient credit trading among its members with the goal of improving water quality in the Chesapeake Bay watershed. In 2014, PM USA received a $35,000 payment within the Exchange for nitrogen credits. This project is the first known NTS to treat tobacco process water and has served as a catalyst in improving PM USA’s overall environmental management system. Local muskrat populations were difficult to control after construction, as was extensive cattail invasion. It would have been valuable to plant more species that are inedible to muskrats and explore methods of cattail control. Detailed feasibility studies are a key to success in executing a constructed wetland. Early engagement of key stakeholders was critical to success. Dissemination of project details and updates to PM USA employees helped ensure internal and external awareness and support. Project constraints included permitting and coordination with state, local and federal regulators; and land area requirements, which are significant for constructed wetlands. A number of studies were required, including a cultural resource inventory, pre-and post -construction ecological surveys and an engineering feasibility study.